Surfing The Net: Science Review | My Journeys Through Life . . . Herding Cats In New Mexico! The Critical Thinking Co. is a curriculum provider that I’ve always heard pretty good things about, but had not had much chance to check out through the years. 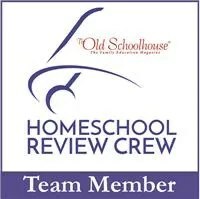 Because of this, I was very pleased to be given the opportunity to use one of their products for review with my boys. I was sent a 250 page copy of the book Surfing The Net: Science, written by Jennifer Katherine Brooks. Because the Critical Thinking Co. has such a generous copyright policy, the first thing I did was to take the book to a local office supply store. I had the binding cut off, and the entire thing three hole punched, then I put it into a three ring binder, sliding the cover into the clear pocket on the front. You don’t really NEED to do this, but I just hate the way the copier picks up the curve between the pages, and you wind up with the grey or black ink showing where the curve was. But that’s just me. 🙂 As I said, this is a very generous copyright policy. The owner of this book is permitted to reproduce up to 35 copies of each page per year, within one home or one classroom. One of the things I really like about this book is that it isn’t just a book full of worksheets. This book is teaching us how to use the internet for research, but in a safe way. For those to whom it is important, this book does correlate with science standards in most states. This is not something that is of concern to me personally, but I know that many of you have to worry about. Completing the entire book will bring you through grades 3, 4, 5 and 6. In each topic, we are covering critical thinking skills in a variety of areas, such as defining, describing,analyzing and synthesizing, expanding knowledge, and investigating. In each activity, we are given a series of things to do, such as watch a video, play a game, search for images, use an interactive website, etc . . .
We are given a landing site link, where we find every single link that is listed in the book. This does make it somewhat easier, especially for the kids who can just click the correct link instead of having to type it all out, especially in the beginning of learning to research online. The author spent a great deal of time in researching and choosing fun, interesting, educational websites. She chose to include only trusted , age appropriate sites. The author further chose NOT to use YouTube links. May of them are posted by secondary sources, and may not be reliable. Also, we in our home simply don’t let our boys go willy-nilly checking anything out on YouTube, as much of it is really inappropriate for children. All in all, I think this is an excellent resource. I LOVE the copyright policy, which allows that I may use it for each of my children as they are ready for it.